Yesterday Tault brought you a couple of videos showcasing some of the new Elder Scrolls Online Leaked Beta Footage. 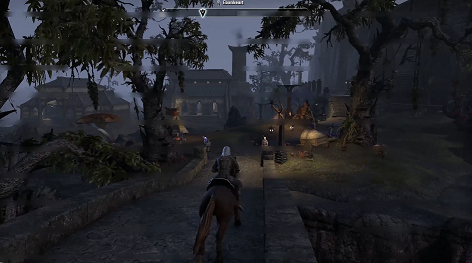 Many videos are starting to circulate for the upcoming release Elder Scrolls Online. This game looks to be becoming quite popular very quicky, even in beta. I certainly can understand why. Check out this video showing off a full 45 mins (as of July 26, 2013). Its in full 1080p, and showing quite a bit of the landscape. ESO is trying very hard to keep its NDA going, but judging from the sheer amount of beta leaks that are starting to show up, not everybody is in agreement. I for one am glad to see some of these new videos. Makes it hard to wait to get accepted to the closed beta. ESO is not scheduled to be released until sometime early 2014, but from this video, it is coming along nicely. We hope to continue to bring you all things ESO releated including Elder Scrolls Cheats, Guides, Bots, and so much more. I hope that this will be your first stop on a daily basis to keep checking back for the latest happenings.